Doug Basham has been a local since 1966 and carries on the family tradition of owning and operating the Wongan and Moora Betta stores. 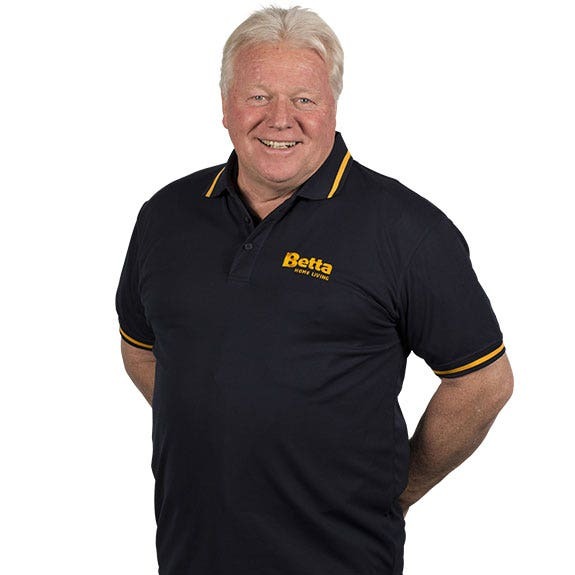 When you want expert advice on white goods or home appliances, look no further than Betta's Wongan and Moora stores. Our Wongan and Moora stores stock your favourite brands in fridges and freezers, kitchen, cooking and laundry. For better deals every day, That’s Betta! The Wongan and Moora stores have been supporting the locals since 1960 via donations to social clubs and sporting teams within the community. Doug loves the friendliness of the locals and enjoys his coffee white with no sugar.